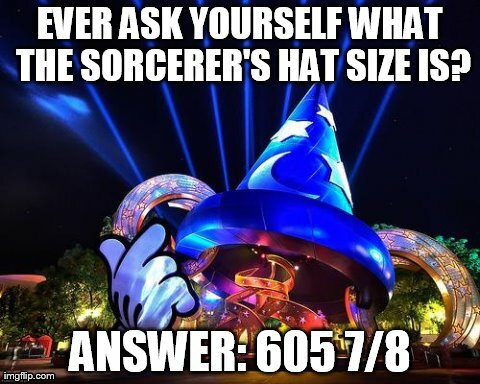 Also, the hat weighs 156 tons and is a fantastic 122 feet tall! Gossip time: It’s rumored that the real reason the Sorcerer’s hat was built so large was to block the view of the Great Movie Ride’s Chinese Theater. It’s thought that the owners of the real Chinese Theater didn’t want the replica of their iconic building in the background of promotional marketing. And while some Disney fans really hate the Sorcerer’s hat (there are pages dedicated to taking it down! Talk about drama! ), I for one love walking into Hollywood Studios and being greeted by this larger-than-life icon!